In 2008, Resourceful Internet Solutions, Inc., the parent company of Mediate.com, proudly published Peter Adler’s "Eye of the Storm Leadership: 150 Ideas, Stories, Quotes, and Exercises on the Art and Politics of Managing Human Conflicts." We liked Peter's idea of writing a book on mediation as a leadership skill without ever using the often self-referencing word “mediation." Each of Peter's fifteen chapters started with an inspiring longer story, then offered ten shorter ideas that any leader can use regardless of whether he or she is coaching a volleyball team or chairing a contentious meeting of the local library board. Sometime between 480 and 221 BC during China’s Warring States Period, a general named Wu wrote a short and now widely read treatise on how to win a big fight. Wu’s personal history is shrouded in mystery. He appears to have been a contemporary of Confucius and was probably a member of a class of landless aristocrats who had lost their dukedoms during the wars of consolidation. Some of them became academics. Others, like Wu, worked as mercenaries. Wu was reputedly retained by King Helü of the kingdom of Wu, a place considered semi-barbaric. After a series of conquests, that kingdom became the most powerful state of its time. Wu disappeared when King Helü finally conquered the state of Chu. Wu’s actual date of death is unknown. His book, however, survived and became one of the most important military texts ever, and one of the most popular. It is required reading at all war colleges, most business schools, and many philosophy departments. Every mediator and negotiator needs to study it. Wu’s advice was simple, to the point, and tough as nails. He urged military commanders to gather intelligence, gauge costs, make plans, position themselves for confrontation, maneuver for advantage, stay calm under fire, and wherever possible avoid unnecessary confrontation. He also explained how to do all this. The highest excellence, he said, is the “sheathed sword,” achieving your goal without fighting. Much later, Wu was given the more honorific name Sun Tzu and his work was called The Art of War. Sun Tzu believed that understanding conflict is vitally important to the political health of the state and his pragmatics were built on five foundational precepts. On, he said, is “The Way” (the Tao) which moves people to be in accord with their leaders and each other. “Climate” connotes cold, heat, night, day, times and seasons; in short, the weather. “Terrain” is made up of distances, features of the landscape, and land cover dangers. “Command” stands for the virtues of wisdom, benevolence, and strictness of the leader. And “Regulation” is the set of methods and disciplines by which forces must be marshaled. These were the foundational ideas spelled out in thirteen short chapters. All commanders who are familiar with those elements, he said, will prevail. Those who aren’t will fail. Simply substitute the word “negotiator” or “mediator” for “commander” and you get the idea. Our job as serious and honest brokers is to bring out leadership and choreograph a solid resolution effort. Choreography (literally, “dance-writing”) is the art of fashioning the specific functions and forms through which conflict plays out. A professional choreographer is concerned with controlling the direction of an unfolding narrative. He or she sets the mood and manages the action through the interplay of sound and light, the use of backgrounds and foregrounds, the positions and juxtapositions of people and material things, and the unfolding tempo of the drama. Fundamentally, Sun Tzu was a choreographer of conflict. The Art of War has major import for mediation. It is profoundly Asian if you are working in that part of the world, and perhaps in certain other cross-cultural settings. It is highly tactical and offers specific maneuvers and moves, many of which were further elaborated by subsequent Chinese scholars in a book called The Thirty Six Stratagems. Finally, it is a handbook for hard-ball negotiating. It is also a profound call for cooperation through the “sheathed sword” philosophy. 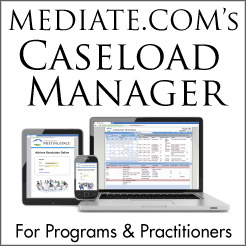 Mediators see power close up and have opportunities to help influence its use. Disputants channeled it through their access to resources; their expertise, experience, or knowledge; the histories of their relationships; their rights and entitlements; and their degree of being organized. Sun Tzu understood this. Power is not only what you have but what the enemy thinks you have. Therein lies leverage and influence. "Howdy, I'm a graduate student (Human Resources Development) at Midwestern State University in Wichita Falls, TX...currently enrolled in two classes Employee Assistance Issues and Conflict Resolution and Mediation. 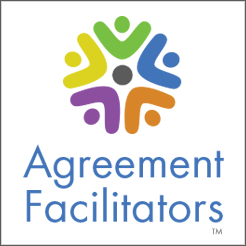 Your site is a valuable resource for exploring the issue of conflict in the workplace, how to resolve conflict, and how to establish costs both personal and $$ for workers, supervisors, and employers among other topics. A classmate shared your address with me and since, I have shared it with other classmates. Anyway...just wanted to let you know how helpful your site is to us as we research information on conflict and to say thanks for providing the info you do. Best wishes,"